Kanye West is an American hip hop artist born in Atlanta, Georgia. 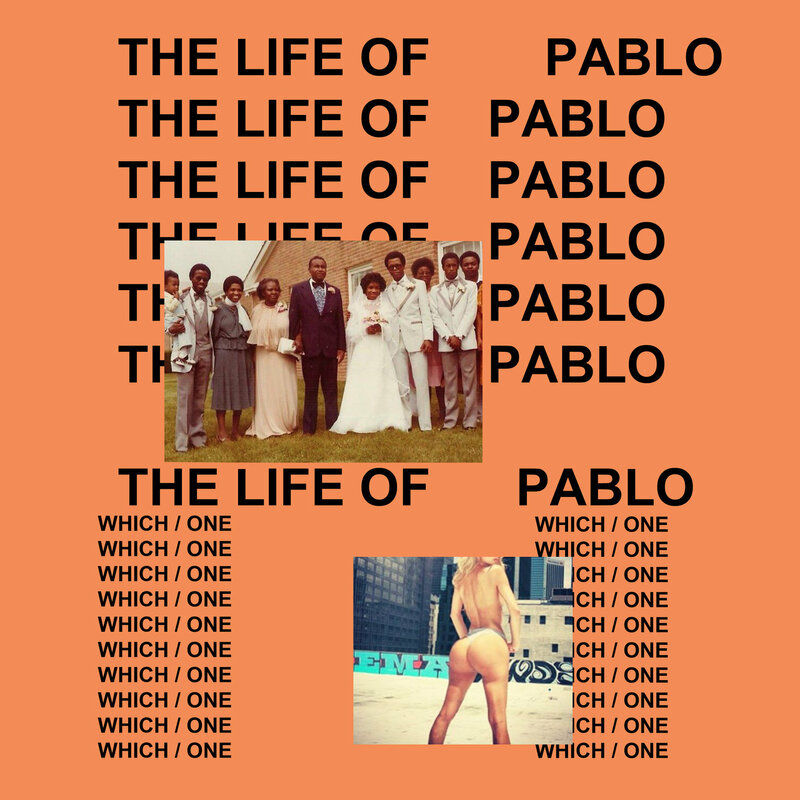 The above is the cover artwork of The Life of Pablo, the seventh studio album by American rapper Kanye West. The cover artwork consists of album titles, a family portrait and a photo of a bikini model, which are laid out on orange background. The font used for the album titles is Arial Bold. Fonts like Helvetica and Akzidenz Grotesk are also very similar to it except the letter “C”. The ends of the strokes of the letter “C” are perfectly horizontal in Helvetica while in Arial and Grotesque they are cut off at a slight angle. The Arial font identified above is not available for free, please follow the link above and purchase the font. Meanwhile, you can take a look at our collection of fonts for cars, pop music and apparel as well as round-ups of new & fresh fonts around the web. In addition to The Life of Pablo, Arial typeface is also used in the following logos, movie posters or album covers etc., including: Asiana Airlines, Niko Through The Dream, Friends of the Earth.